Preserving artwork should always be high priority, but on very rare occasions nothing can be done to save it, so the best thing to do is to make an exact replica of it. The story of the Reader relief shows how 3D scanning helps perform the job. The Reader is one of the several works of art created by the Czech sculptor Vojtěch Hořínek (1906-1998) for public areas in Olomouc, the sixth largest city in the Czech Republic. 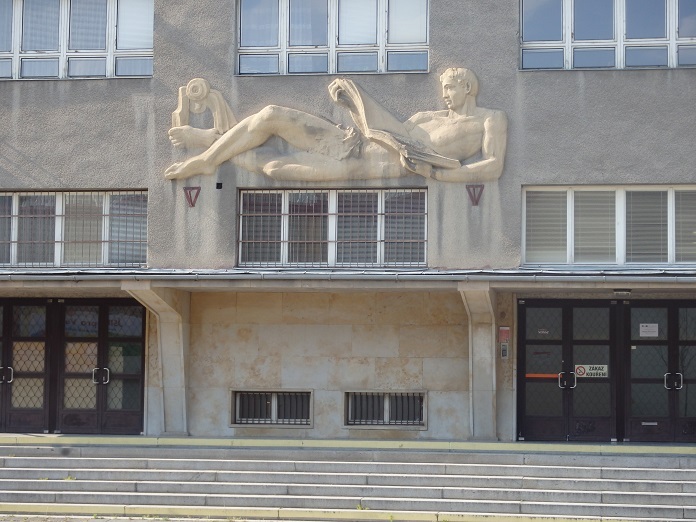 The 6 m long relief was sculpted in 1951 to embellish the facade of the building that currently houses Olomouc’s Vocational School of Services. In 2015 the school decided to renovate the building, which involved insulating the walls. In order to do this, the artwork had to be removed, and so would have been lost forever. Vojtěch Hořínek’s son Karel was brought on board to help make a replica of the relief so it could be mounted on the facade of the renovated building. 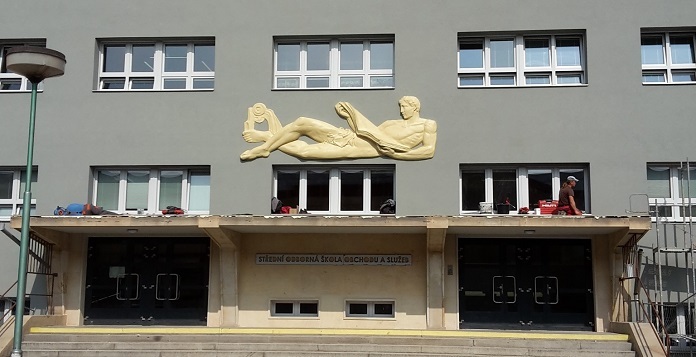 Hořínek approached Artec’s Czech partners ABBAS on the recommendation of their previous customer, asking if they could 3D digitize the relief and make its replica to be installed on the building. Hořínek also wanted to scale down the relief, reducing its length from 6 to 5 meters, so it could better fit into the architectural design of the renovated building. The relief was scanned by two ABBAS specialists who used Artec Eva and an external battery, which is an ideal solution for working in the field. The relief was scanned by two ABBAS specialists who used Artec Eva and an external battery, which is an ideal solution for working in the field. Scanning had to be delayed by a couple of hours because of rainy weather, but once the sky cleared up and the relief dried, the team was able to proceed. The portability of the 3D scanner proved to be an essential feature because scanning had to be performed from a ladder: one person scanned the relief with Eva while the other one held the laptop, standing on the roof of the building’s porch. The team also appreciated Eva’s light weight: handling a heavier device while standing on the ladder would have been a pretty tiresome job. Other 3D digitization methods would have required more preparations and the use of aids: with photogrammetry, for example, reference targets would have needed to be placed on the relief, and scaffolding would have had to be put up around it. Given that the porch’s roof is quite narrow, it would have been very awkward to have to erect scaffolding on it. Once all the necessary scans were obtained, the ABBAS team began to process the data in Artec Studio, which took around 6 hours. They had four files (40 GB of data in total), which they optimized to a 150MB STL file. 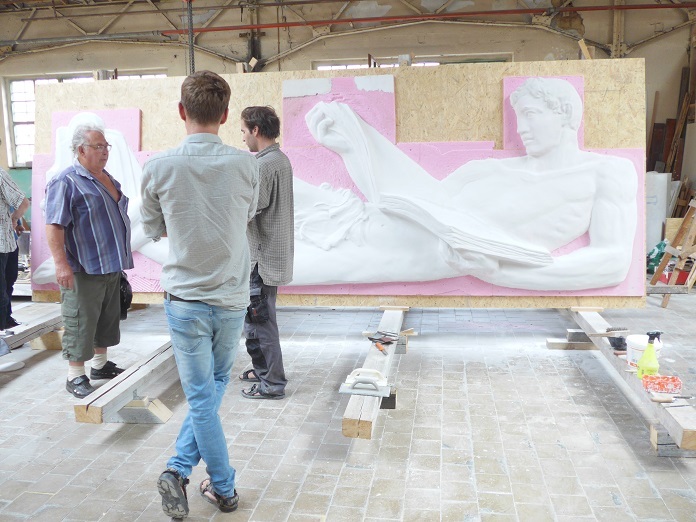 The STL model was used for milling a replica of the relief from hardened polystyrene at the 3D Studio of the Arts Faculty of the Technical University in the city of Brno. The milling cutter had a special plugin for the STL format, so the STL file did not have to be converted into any other format. The 3D model of the Reader in Artec Studio. Milling was performed by the robot KUKA KR60. 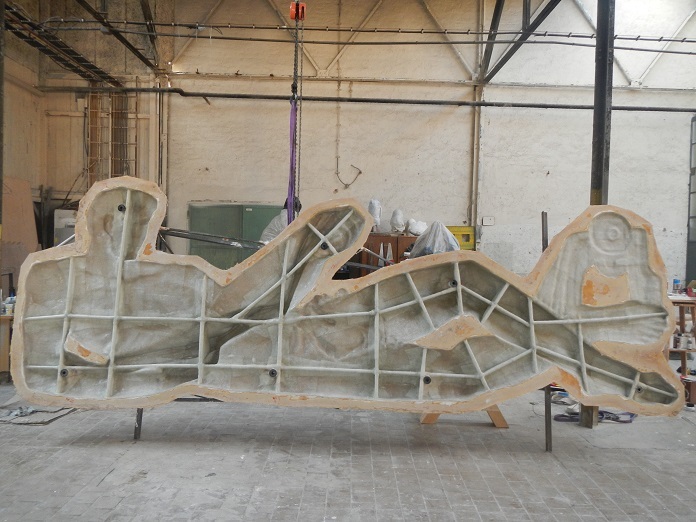 Due to the large size of the 3D model, it had to be divided into 10 parts to be milled separately and then put together. After that the polystyrene model was covered with plaster to make a plaster model. Once the plaster mold hardened, it was possible to create the final cast from polyester fiberglass, which was chosen for its durability. 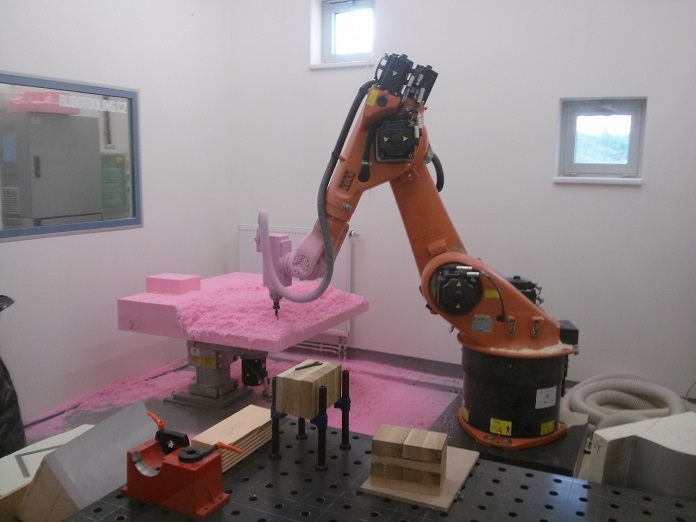 Robot KUKA KR60 mills a part of the polystyrene model. The plaster cast of the Reader relief. The final polyester fiberglass cast. 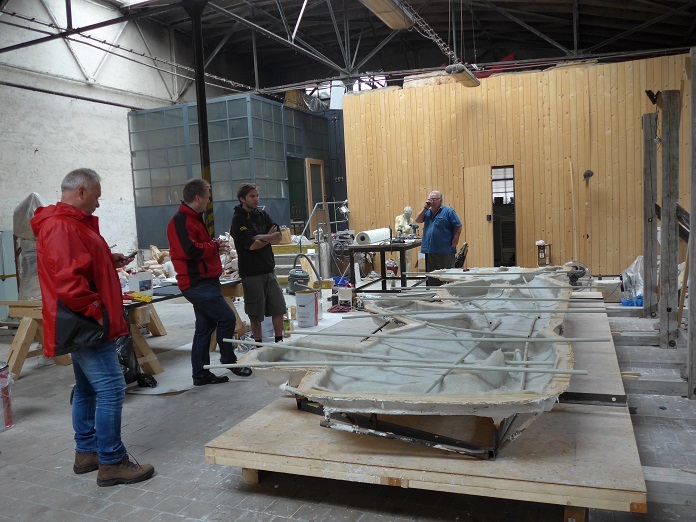 Finishing the polystyrene model, making the plaster mold and the final cast made from polyester fiberglass was implemented by one of the graduates of the Technical University, Viktor Paluš. His team also installed the replica of the relief on the wall. Now the scale replica of the Reader is back in place.